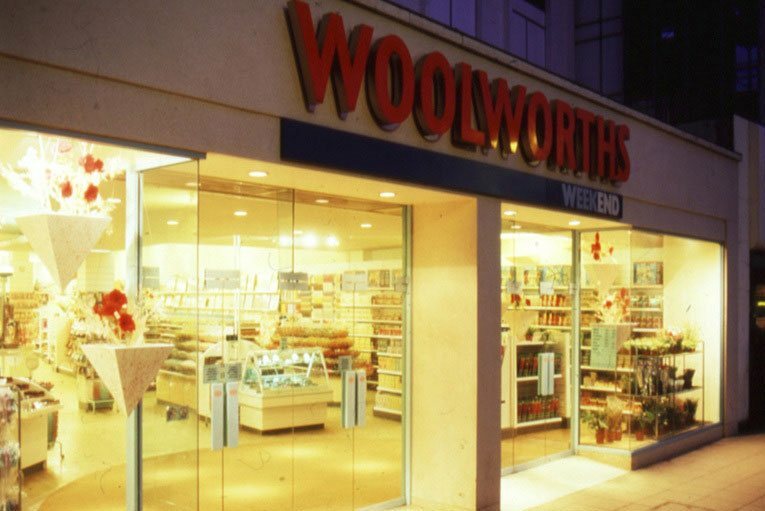 New owners sought to reshape the British Woolworth in the 1980s, choosing to specialise in a smaller number of ranges. Confectionery was identified as a key strength to build on. Money was invested to improve the displays, as Buyers worked behind the scenes to bring the range up-to-date and to capitalise on their dominance of peak seasonal events like Easter and Christmas. The reshaping was a success, building the highest sales in Europe and giving the brand huge buying power and strong influence with the key suppliers. The retailer hit the headlines when a battle broke out with leading supplier Rowntrees, which complained that the prices were too low and refused to supply certain products. Counter-intuitively this drove a major increase in sales, particularly for their leading competitor Cadbury's products, as the news stories reinforced the stores' value proposition and attracted lots of extra shoppers. Woolworths became a sweet shop like no other. Facing challenges at home the American Woolworth sold its British subsidiary to a local consortium in 1982. This came to be known as Kingfisher. It sought a new formula to modernise the stores and return them to profit. Trials revealed six key ranges which had high potential, including a market-leadership of confectionery and snacking. This would be fashioned as 'Gifts and Sweets'. Many of the ideas took shape in an experimental superstore in Broad Street, Reading, Berkshire, called 'The Woolworth Mall'. Its designers reshaped every range and its presentation. They struck gold when they worked on the sweet counters, with a wealth of new ideas. There was an innovative display, new candies in brighter wrappers, and a wholy new 'Kids Pic'n'Mix' counter. Reading became a hothouse where ideas could be developed. Some concepts appear crazy. 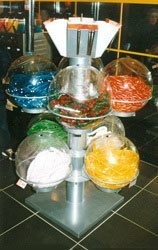 There were huge moon bubble dispensers for super-sized Liquorice Bootlaces over two feet long (60cm), and brightly coloured 'fried egg' sweets. Both were sold unwrapped. The ideas morphed into key items in a new range called 'Bags of Fun', and were introduced with much acclaim across the chain as part of the new 'Gifts and Sweets' offer. The design of the Kids Pic'n'Mix was also adapted to a stylish 'plastic boot' design for roll out, and sold unwrapped weigh-out sweets. All of these ideas went into a second prototype store called Woolworths Weekend. Initially this had a refrigerated display of Belgian Chocolates, which was manned throughout the day. It can be seen just inside the doors in the illustration. While the counter and service-cost proved too high for roll-out, once packaged the chocolates became a best-sellers in every store. The styling and range of the store, without the Weekend suffix to the name, became the template for 180 larger branches right across the UK, and proved a winner. Every store stocked the new Pic'n'Mix selection including a dedicated Kids Pic'n'Mix fixture. The confectionery counter was modernised by adding a hanging section, dominated by own label 'Bags of Fun' sweets and branded items like Sherbet Fountains. Signs were improved and the Christmas and Easter selections were given a major overhaul. The Buying Team worked to enhance product quality and variety, while driving down prices to boost their value credentials. When the stores offered large Quality Street tins at below cost price in 1986 it caused a furore in the industry. Such blatant loss-leading was very rare at the time. Supermarkets accused the supplier, Rowntrees of York, of selling more cheaply to Woolworths, and threatened to withdraw its range from sale. Rowntree was forced to refuse to supply further stock to the High Street stores until a compromise was reached. 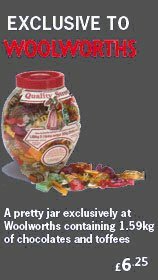 The following year Rowntree agreed to supply different weights to Woolworths, agreeing a jar design in place of its traditional tins. This proved a winning formula. As a post-script, despite their protests in the 1980s, in more recent times the grocers have ruthlessly driven independent traders out of business by loss-leading on all sorts of items, including chart CDs, popular books and ... guess what ... tubs of Roses, Celebrations, Heroes and Quality Street. 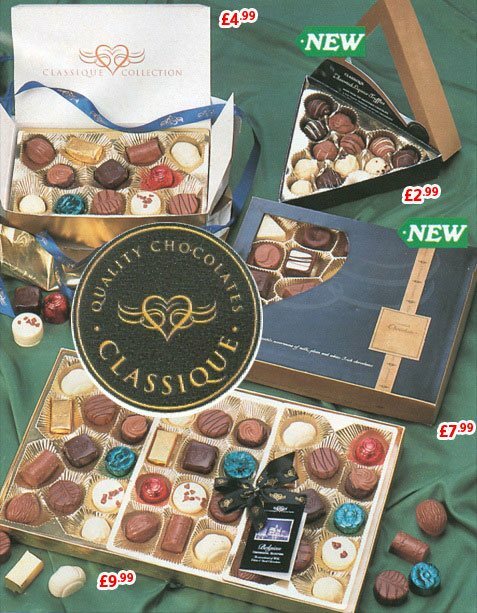 Another example of product innovation was a new own-label chocolate brand - Classique Chocolatier. The up-market packaging was designed in-house and suppliers were trawled for recipes and prices. It was a bonus when the best tender came from the factory in Belgium behind the short-lived refrigerated counters in the Weekend stores, allowing the range to be marketed as 'Luxury Belgian Chocolates'. The great skill of the Buyer was to choose chocolates that customers would find delicious and to present them to look extra special. Despite its lower price, the own label generated a higher cash margin than the branded equivalents. The range demonstrated the much vaunted retail concept of a 'virtuous circle'. The man behind the Confectionery offer was one of the last to follow a traditional Woolworth career path. He had risen up from the stores and had worked in regional management before becoming a Buyer. At his retirement he observed that it was this long induction which had given him the guile to build a gross margin of over 30%, despite lowering prices. Exceptional sales of Classique had put pressure on the branded manufacturers, forcing them to cut their cost prices in order to maximise their shelf space. Seasonal sweet sales also rocketed under the new regime. The firm had long enjoyed a dominant share of Easter Eggs and Christmas Novelties. This was boosted by clever marketing. 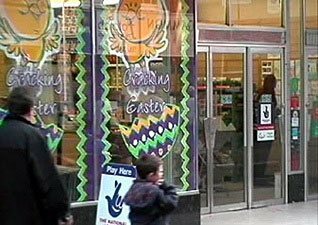 By 1990 Easter Egg sales had broken the twenty million mark with the stores selling one in three nationally. 9,000,000 were sold in the four days to Easter Saturday, an egg and a half for everyone under eighteen across the UK. There was innovation at Halloween too. Spun chocolate was used to make Pumpkins and Spiders' Webs. The same technique shaped Christmas Tree novelties and stocking fillers. Such product development boosted the market share, building Woolworths to become the largest confectioner in Europe. At the peak it accounted for 10% of Cadbury's global turnover. Kingfisher's guiding principle of building on strengths, and growing dominant market shares, had restored Woolworths' fortunes. It looked forward to many years of future success. Certainly the British were happier and fatter for their regular visits to the High Street stores, while the supermarkets looked on with envy. Soon they would seek a slice of the action.